Interactive Gaming has quickly become the dominant form of media entertainment, as of this article’s publication, in the 3rd quarter of 2015, the gaming industry has made over $115 billion in sales worldwide, where even Hollywood’s top 10 box office movies combined, only made $3 billion. (statista.com) This trend is not slowing down anytime soon, and the potential for benefiting from this explosion in gaming is all too real for marketing teams to ignore. While this market trend continues, the average consumer needs to experience certain level of interactivity in order to get their attention. This article isn’t to convince companies to develop games to sell on the market, but to inform them on the benefits of utilizing interactive games on location, such as: have a fun way to promote brand recognition, educate guests on product and service information, and create a memorable experience while minimizing perceived dwell time. Below is a list of 5 reasons why interactive gaming is necessary for companies to adopt in today’s game centric society. One of the worst parts of any consumer experience is dwell time. When a guest is forced to wait longer than they feel they should to obtain goods and services, they become agitated and standoffish, effectively diminishing brand worth and lowering customer retention rate. Sometimes, there isn’t a reasonable strategy to reduce actual dwell time, but consumer happiness can be augmented by providing a reduced perceived dwell time with effective entertainment. Utilizing the appropriate form of entertainment, such as interactive games, a consumer can remain satisfied for a sustained period of time. Not only do interactive games help to reduce perceived dwell time, they also aide in creating a sense of enjoyment, appreciation and intrigue. Interactive games are just plain awesome! Enabling the user to experience the game first hand, without the need for a controlled interface, is exciting. The ability to allow players to interact directly with the content on screen, with a simple touch of their hand, creates an environment of engagement that other forms of media entertainment can’t compare with. When it comes down to it, the quintessential reason to deploy interactive games, is to share a memorable experience with your audience. In the current, instant gratification generation, shortening the distance between the player and the game, increases the user’s level of enjoyment, which in turn, elevates the opportunity for improved sales. 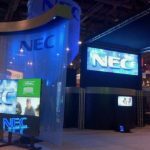 Aside from the entertainment inherent in interactive games, the capacity to capture the attention of current or potential clients, while simultaneously creating a lasting image of a company in their minds, is invaluable. There is nothing more satisfying in advertisement, when a target audience receives the brand message, and it sticks. Designing a lasting message is the cornerstone of the marketing world and interactive games are incredibly effective at accomplishing that task. While commercials and billboards are moderately useful tools in the marketing arsenal, they are limited by their lack of interactivity. The best way for the average consumer to remember a product or service, is by experiencing it first hand; actually being able to touch something helps to lock it into long-term memory, instead of it being lost in an endless sea of advertisement. The novel experience of large scale, touch screen games, is unique and exciting enough to cut through the noise to guarantee that the message is received. No matter how impressive a product or service is, if the consumer isn’t aware of the benefits, there is no reason to assign value to that product or service; the customer will never buy it, but this idea is common knowledge. There isn’t anyone on the planet interested in spending their hard earned money on something that has no perceived value, this is why marketing is such an important aspect of the business cycle. 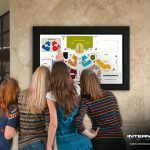 Interactive education is a way to get that information out there, while at the same time creating a powerful impact on the consumer. Educating an audience is important, but solid brand recognition is even more so. Surviving in any field of business, is limited to how many people know who you are. But, brand awareness is just another aspect of a successful business, and similar to the other aspects of interactive gaming listed above, it is another driving force behind many marketing teams. Just as educating an audience is essential to a business’ success, so is the brand name behind the fantastic products and services offered. It is important to make a good impression, but why settle for good, when you can utilize interactive gaming, and make an amazing first impression. When guests experience entertainment on a whole new level, that message spreads and everyone they tell about their experience, has the potential to become a new client. Interactive gaming is an excellent form of advertising and customer engagement. Not taking advantage of the great benefits inherent in interactive gaming is a huge missed opportunity and those companies out there lacking this type of customer engagement are not meeting their full potential. So get out there and experience the power of interactive gaming yourself and truly impress your guests with something new and exciting!